A new scientific analysis shows that urgent action is needed to reverse the tide of ecological decline in the ocean that threatens economies, societies and nature, says the Global Ocean Commission. 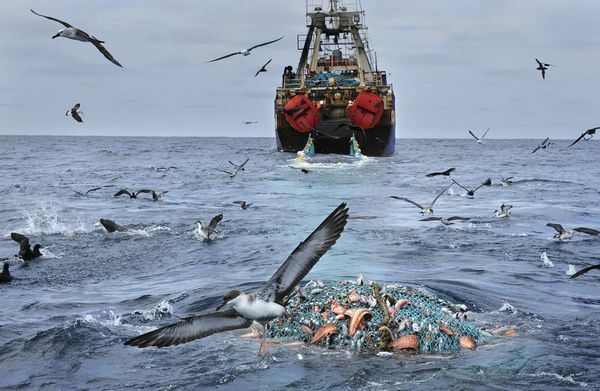 The analysis, by leading marine scientists with the International Programme on the State of the Ocean (IPSO) and International Union for the Conservation of Nature (IUCN), looks at the combined impact of factors such as destructive fishing, pollution and climate change. these threats are much greater in combination than in isolation. 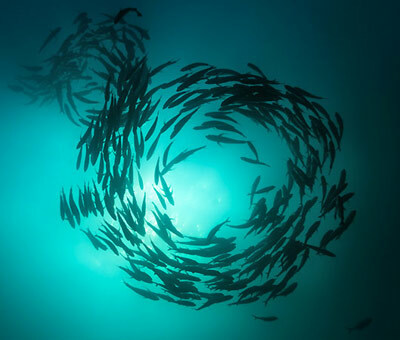 The IPSO/IUCN analysis comes just a week after the United Nations Intergovernmental Panel on Climate Change (IPCC) showed that the ocean is protecting humanity from severe climate impacts. The ocean is absorbing more than 90% of heat trapped on Earth by greenhouse gas emissions, and absorbing about a quarter of our carbon dioxide emissions. ‘If the IPCC report was a wake-up call on climate change, IPSO is a deafening alarm bell on humanity’s wider impacts on the global ocean,’ said Trevor Manuel, Co-chair of the Global Ocean Commission and Minister in the South African Presidency. ‘Make no mistake; unless we restore the ocean’s health, we will experience the consequences on human prosperity, wellbeing and development. As part of the Global Ocean Commission’s commitment to breathe life into its proposals it has started a petition to empower UN Secretary-General Ban Ki-moon in September to call on world leaders to develop a new international agreement (under the UN Convention on the Law of the Sea) to secure ocean health and the sustainable and equitable use and conservation of high seas resources. Within one week, the petition has received over 80,000 signatures and this is growing daily – this is encouraging but the GOC needs your help to ensure that all voices are being heard and a clear statement is made that the current state of ocean affairs is not acceptable. The UN Secretary-General, Ban Ki-moon is committed to ocean health and protection, but he needs our support so that he is empowered in September to call on world leaders to develop this new agreement. Please join the mission for a healthy, living ocean and ask Ban Ki-moon to join our call for high seas protection and ocean health. Sign the petition, share it via social media and ask your family, colleagues and friends to do the same. Download the Global Ocean Commission report here. The only way to restore the oceans health is to stop abusing it. And part of that abuse is in overfishing, not only for human consumption, but in the manufacturing of fishmeal. The seas are being overfished of fish to feed fish, and other livestock in factory farming, while also being polluted by the waste from such processes. This is a part of fishing that is often forgotten, and the supermarkets that are marketing sustainable fishing, i.e. fish farming as a solution are feeding us with big lies. It is not a solution but just a bigger problem. For more information on this subject read Farmageddon by CEO of Compassion in World Farming, Philip Lymbery.